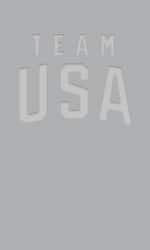 My New Life in Taekwondo began as one on the outside of Taekwondo and main stream America. Back in 1963, I was a young black man, a senior at an all black Woodstock High School, in Memphis, Tennessee. I wanted to write a senior term paper on the topic of martial arts. The school had only a small library with a limited selection of books. There were no books on karate,Taekwondo, judo, aikido, or kung fu in the school library. In fact there were no books at all on martial arts. When I inquired concerning any other library that I could possibly use for my research, the school librarian, Mrs. R. J. Roddy, informed me that there was a public library in Memphis, TN. It was a much bigger one, and it had a large selection of books on many topics, but it was "For whites only". Before I lost all hope for his term paper, Mrs. R. J. Roddy told me, she could call the librarian in that other “whites only” library and see what books they had on the subject. It turned out that there were quite a few books on the martial arts. The library sent over a two page list of titles. After looking through the list, I picked out some books that I thought I could use as references. Mrs. R. J. Roddy called back and told the librarian which books I wanted. The books were sent to my school by special delivery. I do not remember whether these books were the only books sent to my school, but looking back, I am amazed at what lengths they were willing to go to keep me out of the Memphis Public Library. But unbeknownst to me and to everyone around me, a little seed was planted in my heart and soul. That seed grew and grew until it consumed my entire spirit.I would not rest; I could not be satisfied until I had satisfied this hunger deep in my soul for the Oriental Fighting Arts, particularly the Korean Killing art of Taekwondo. TaeKwonDo is one of the most systematic and scientific Korean traditional martial arts, that teaches more than physical fighting skills. It is a discipline that shows ways of enhancing your spirit and life through training your body and mind. Taekwondo is a way of life, much like having a job, raising a family, fighting for a cause, or any one of numerous raison d'etre. 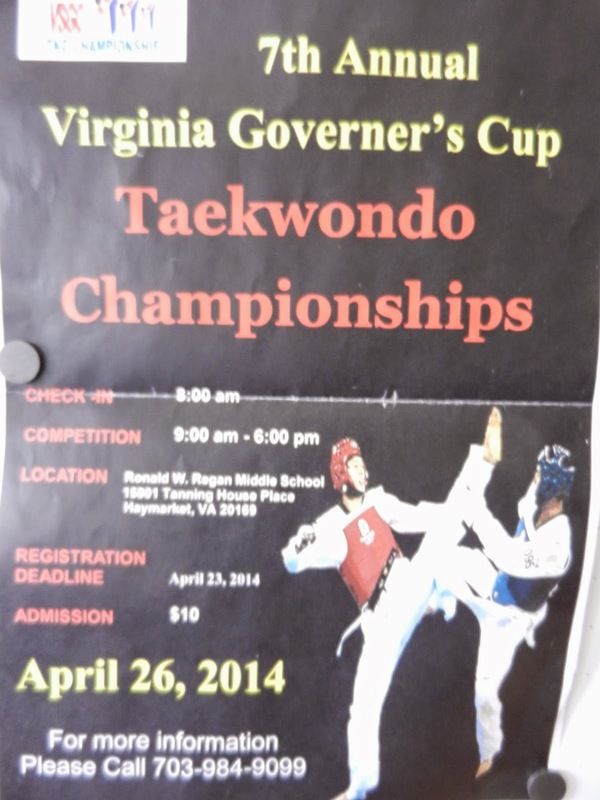 What makes Taekwondo different from these is that it is an activity for survival in extremely antagonistic situations. One must always overcome the enemy that is trying to cause harm. But simply winning a fight is not enough to guarantee one's safety, because the enemy may recuperate and attack again. Moreover, there may be many other enemies than the one that was just defeated. One cannot ever feel safe unless one gains permanent peace. To attain this permanent or lasting peace, one needs unity. 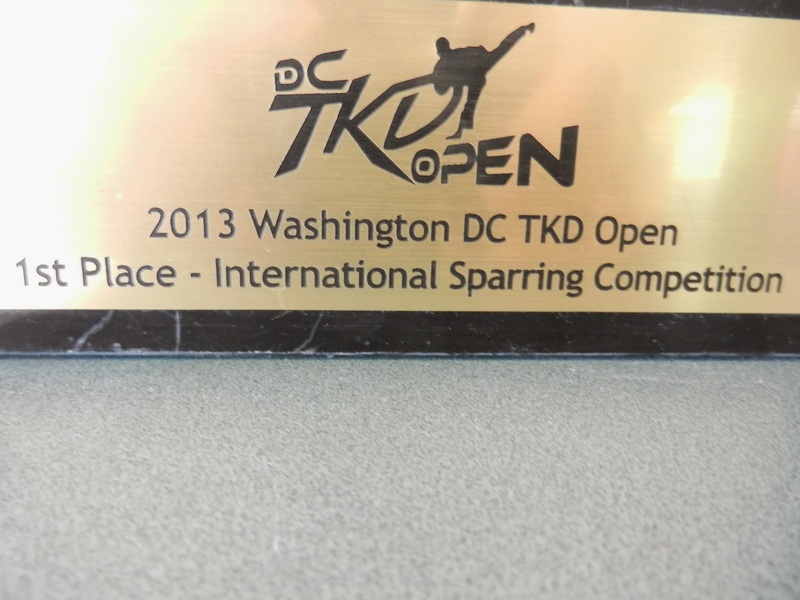 This is what Taekwondo aims for. Otherwise Taekwondo would be no different from any other street-fighting skills. "Tae" means "foot," "leg," or "to step on"; "Kwon" means "fist," or "fight"; and "Do" means the "way" or "discipline." If we put these three parts together, we can see two important concepts behind "Tae Kwon Do". Brandon Ivey has studied the Taekwondo art since he was 7, learning “the way of the fist and the foot” and its tenets of discipline and respect from Master Dennis Kim. A Blogger commented that the USTigers’ website doesn’t do them justice. 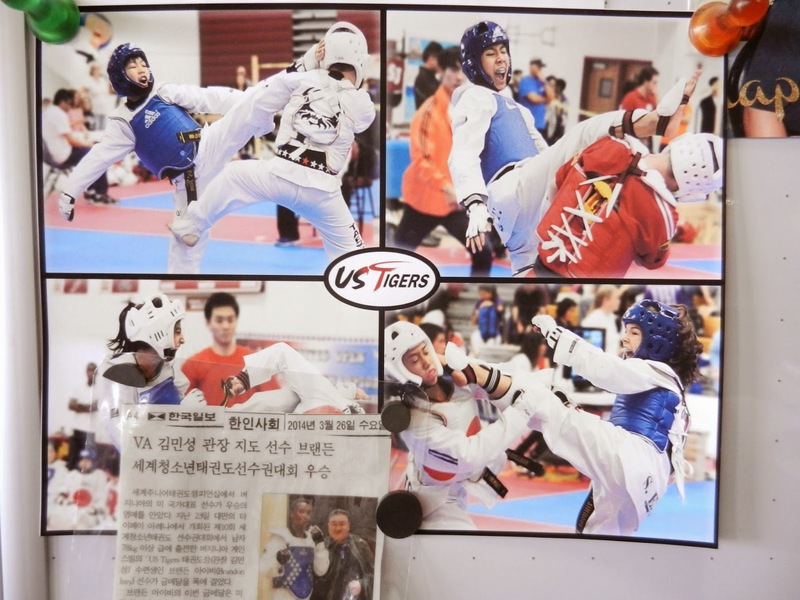 Current students of USTigers have the privilege of being steeped in raw potential: all instructors at USTigers are Kukkiwon-certified fourth-degree black belts or higher, and have competed at national or international levels in Taekwondo, either in Poomsae (forms) or competition sparring. Regular classes over the past four weeks have been taught by Masters Charlie and Kyle, both friendly and vibrant characters who clearly possess skill enough to teach even higher-degree black belts and an earnestness to teach that makes even the newest beginner feel welcome. 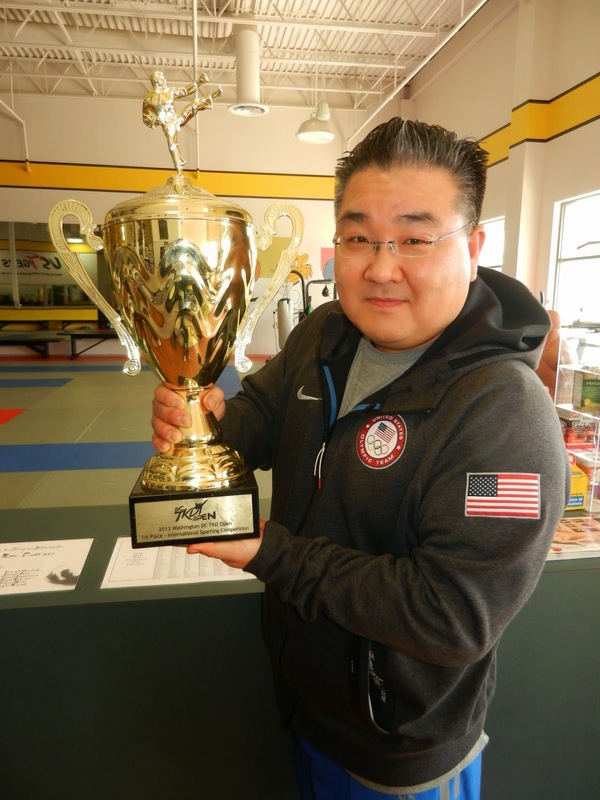 USTigers also apparently has very close ties to Phoenix Taekwondo, another local dojang, and Phoenix’s excellent instructors (namely Masters Won and Jeong) have visited to teach classes. 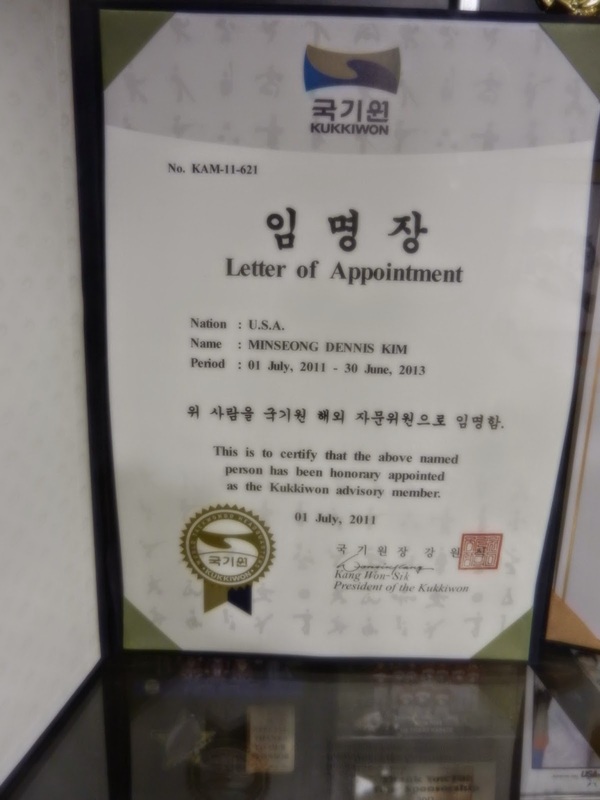 Upon simple conversation with Master Dennis Kim, the proprietor of USTigers, it is clear that he is much more concerned with instilling the values and skills of Taekwondo in his students than he is with extracting their pocketbooks. 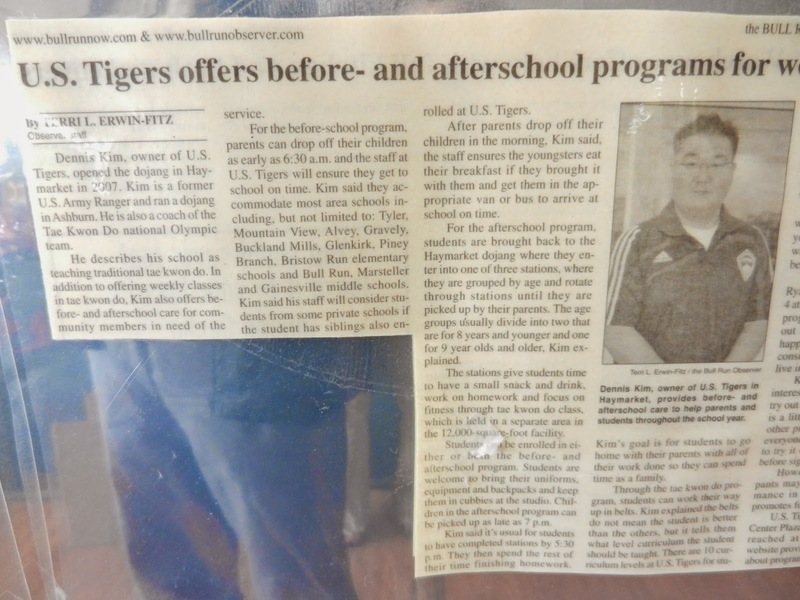 The system of payment works much more similarly to a gym than to other dojang that the reviewer has visited: students pay once a month and are allowed to attend as often or as little as they like, with there being a class to attend nearly every day of the week. However, the belt-testing system occurs and is paid for separately, and not attending classes will probably have an effect on the length of time it takes to be allowed to escalate in belt level. Finally, USTigers has the gamut of competitive teams: a sparring team (the S.E.T or Sparring Elite Team), a Poomsae team, and a Demonstration team. Practices and qualification for these teams are both extremely rigorous, and has as a result produced several outstanding members. 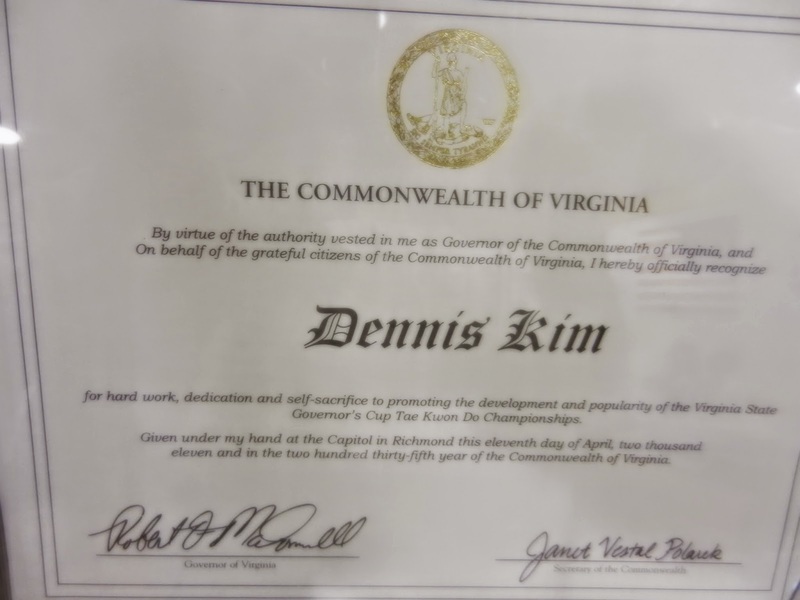 The S.E.T, especially, has seen a two-time United States Junior Olympic team member, as well as a Virginia State Champion in Taekwondo; Master Dennis is, himself, an assistant coach on the United States National Team for Taekwondo. On March 23 Brando Ivey represented the USA in the World WTF Taekwondo Championship Tournament in Taipei, Taiwan, Republic of China. He defeated FIVE heavy weight black belt fighters from various countries around the World. It was a single elimination tournament and Brandon went undefeated. All of his fights were razor-edge close. The final match was a sudden death overtime match against Hamza Kattan of Jordan. Brandon won the match 5-4. His opponents were champions from the republic of the Philippines, Azerbaijzan, Spain, Russia, and Jordan. After such a grueling ordeal, Brandon was quoted as saying "Greatness is not some elusive, esoteric dream. It's within all of us, and today I just dug deep and found it". He is quite well-spoken, also; but, Brandon reached his goal because of his superior fighting skills and his indomitable spirit. Brandon Ivey's victory is not his alone. 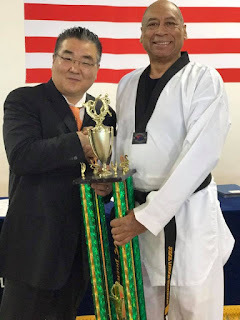 It belongs to him; his master trainer, Master Dennis Kim, and an army of Taekwondo fellow students, well wishers and most of all, his family. 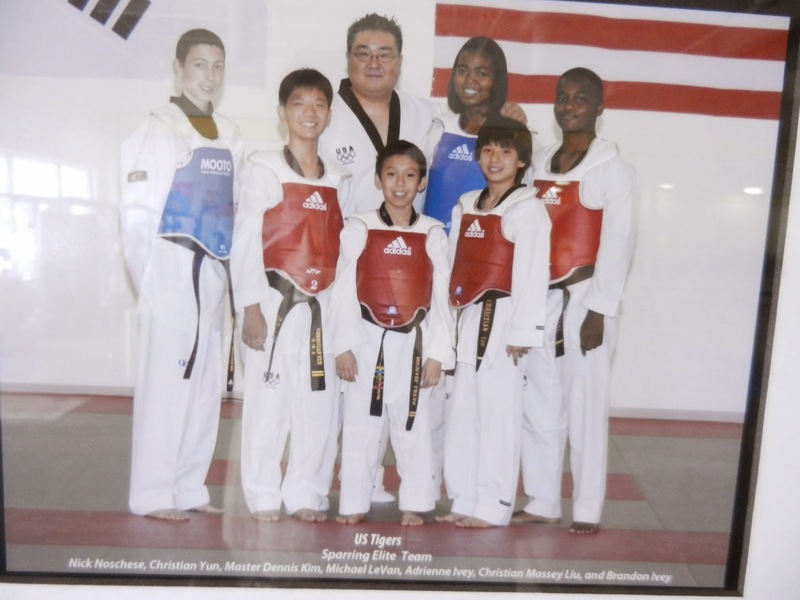 He is an original member of Master Dennis Kim's Special Sparring Elite Team (S. E. T.). Brandon comes from a good, solid, traditional American family. His mother and father and two older sisters have provided ample examples and inspiration for him to follow. His mother, Angela, was the first person in the family to study karate. She advanced to the rank of blue belt. His 19 year old sister, Adriene, is an international Taekwondo champion. Brandon's father, Randolf, could have been a promising amateur boxer, but he chose to pursue his academic endeavors. He is a graduate of Howard University with a Bachelors of Science (B.S.) in Mechanical Engineering and an Masters of Science (M.S.) Degree in Management Information Systems from Notre Dame. In the process, he has built an academic dynasty as well as an athletic dynasty. This is no small achieve for a man born and raised in Anacostia, South East, Washington, DC, where expectations are usually perceived as limited. The entire family has impressive academic credentials. Brandon's mother, Angela, also has a B.S. from Howard University. His 19 year old sister, Adriene, is sophomore at Standford University in Palo Alto, California; and, his 21 year old sister, Nicole, is graduating this year 2014 from Yale University in New Haven, Connecticut. This is not your typical African American family; at least, this is not the type of successful African American family that usually makes the news: a family with a mother and father, where the children are nurtured and disciplined, encouraged and programmed for success, taken to church and taught to pray. Brandon was raised to be mentally awake and morally straight. He prays before his fights. That is part of his pre-fight routine. His father says that Brandon approaches his fights scientifically. He studies the films of his scheduled opponents when they can be located. He also collects all the videos of his own fights and critiques himself. He looks to see what he did well and what he did not do so well with an eye towards correcting any perceived errors. He stops eating the night before a fight. His last meal is usually a big quarter-pounder, a pure beef hamburger. He must get a hair cut before every tournament, no matter what city he is in. He works himself up to a sweat before each match. That way his muscles are warm and relaxed and his reflexes are sharp. And last, but not least, he prays for victory. And his prayers have been answered. CONGRATULATIONs to Brandon. He is only 16 years old and a "master of his game". Meet Brando Ivey the first Heavyweight Black Belt Taekwondo Champion from America since 1986. 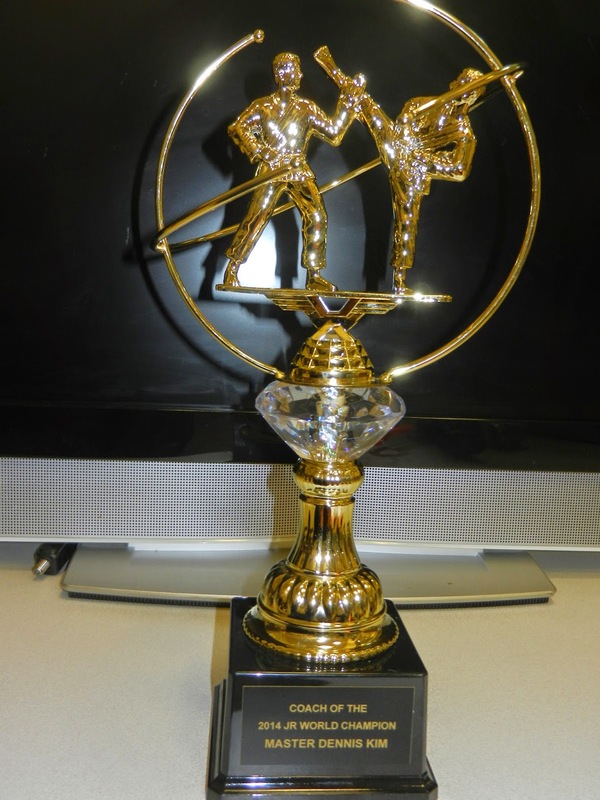 Brando Ivey is the first Heavyweight Black Belt Taekwondo Champion from America since 1986. He is a junior at Briar Woods High School in Ashburn, Virginia. Here he is with his coach, Master Dennis Kim, from the USTigers WTF School of Taekwondo, Haymarket, VA. Last week Brando Ivey represented the USA in the World WTF Taekwondo Championship Tournament in Taipei, Taiwan, Republic of China. He defeated FIVE heavy weight black belt fighters from various countries around the World. It was a single elimination tournament and Brandon went undefeated. All of his fights were razor-edge close. The final match was a sudden death overtime match against Hamza Kattan of Jordan. Brandon won the match 5-4. His opponents were champions from the republic of the Philippines, Azerbaijzan, Spain, Russia, and Jordan. CONGRATULATIONs to Brandon. He is only 16 years old and a “master of his game”. 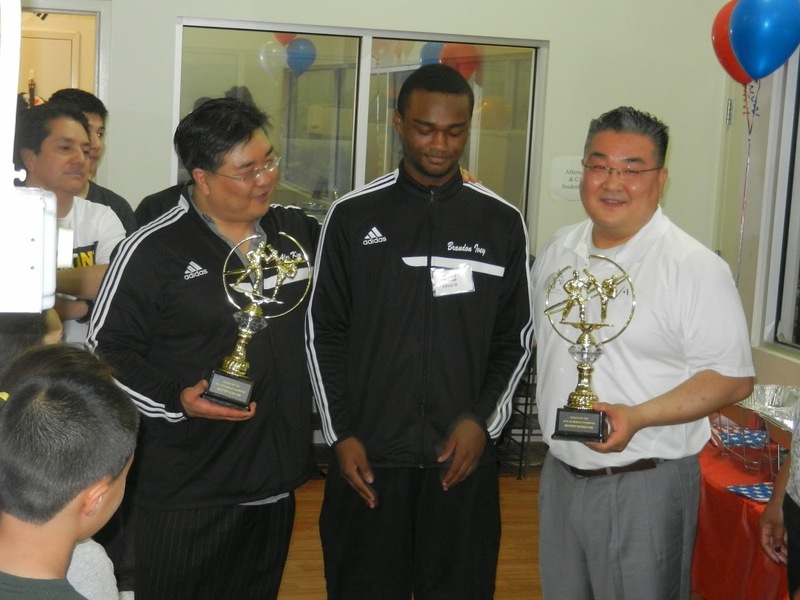 Brandon was successful because of his mental approach to his sport, Taekwondo. 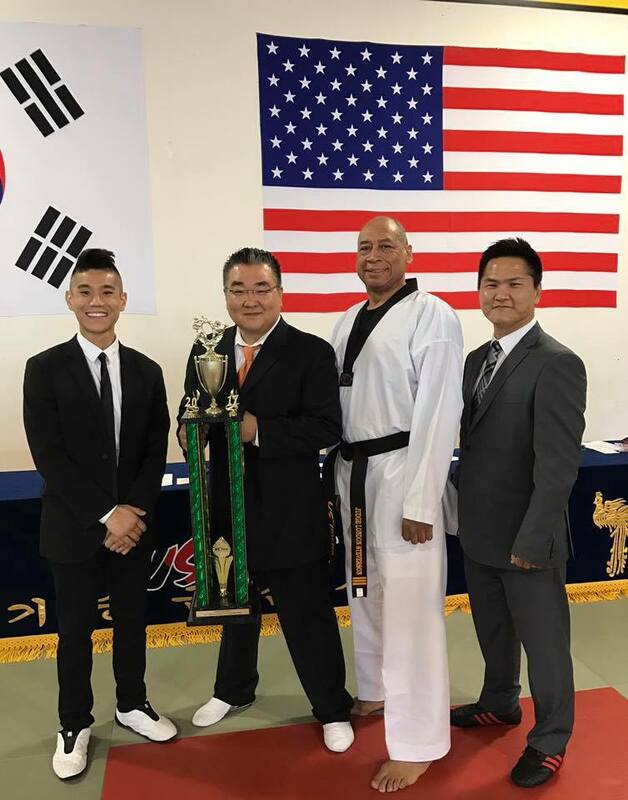 He is a fierce competitor and has mastered a winner’s mindset, which he began to develop at a very young age with the help of his long time coach, Master Dennis Kim. Brandon had a compelling reason for continuously working hard and sacrificing on a daily basis. When Brandon was only 7 years old, Master Dennis taught him to set and write down his specific goals. He said he wanted to be the Champion of the World. 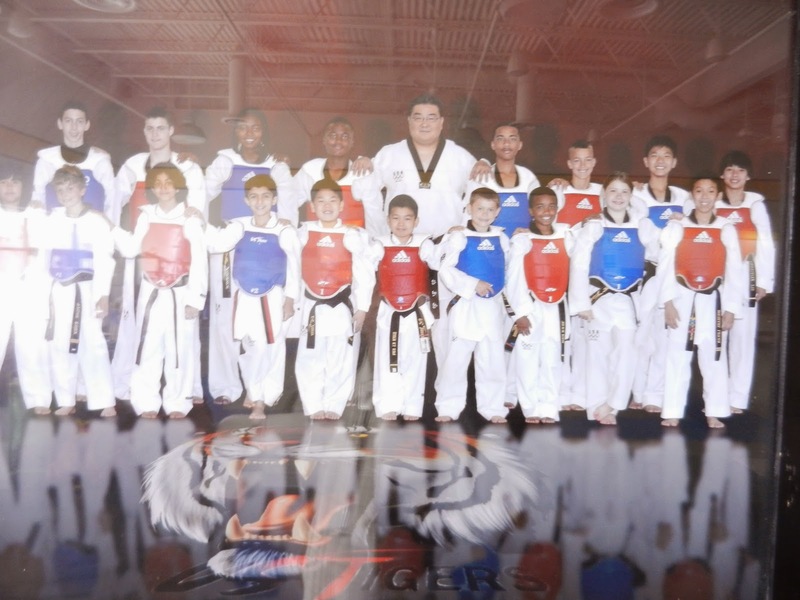 Master Dennis tells all of his fighters at the USTigers Taekwondo School that there is absolutely no substitute for consistent, daily, hard work! You can’t just work hard whenever you feel like it. It can’t be a sometimes thing! It has to be an every day thing. This is true in all sports, but especially so in combative sports, like Taekwondo. To become a champion you have to train yourself to continuously step outside of your comfort zone, physically, mentally and emotionally. Brandon Ivey was able to do this. Whenever he trained, he didn’t just mindlessly go through the motions. He focused on making sure his kicking and punching techniques were precise. Master Dennis believes that one must perform a technique ,at least, one thousand times to learn it, and ten thousand times to perfect it. Only then can you say that you have mastered it. Master Dennis says that part of the reason for Brandon’s success is that he has ice water in his veins and he thoroughly believes in himself. One thing that separates really great athletes from everyone else is that no matter what happens and no matter how many failures or setbacks they suffer, they never stop believing in themselves. People take reading books for granted, especially now that they are available electronically. Not so long ago, there was a whole generation of children that did not have access to books in this country, not because there was a lack of books, nor because they were illiterate, but because of the color of their skin. Black children had no right to step across the threshold of a public library and read or borrow books. 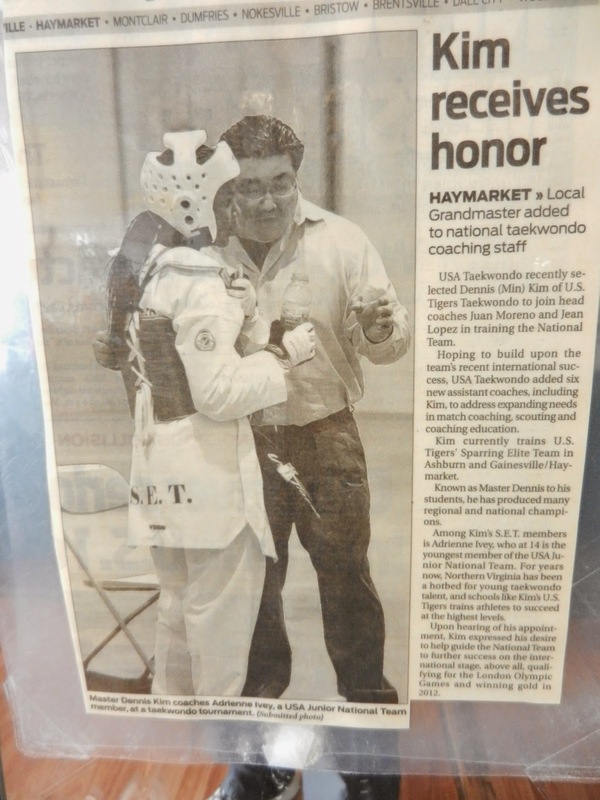 My struggle with Taekwondo began as a struggle for Taekwondo. U.S. Coast Guard Academy Swearing-In June 1964. “It was not until a few years later when I was a cadet at the U.S. Coast Guard Academy (USCGA) that the implications of the incident really hit home” he said. “I was now at an all white college and had access to a well stocked library, not like the small library at Woodstock High, which had little more than some magazines, news papers, periodicals, and Readers’ Digest Condensed Books.”All this was taking place during the 60s when the Civil Rights Movement was in full swing. People were marching and sitting-in, and highlighting the inequities of the segregated public accommodations. “The more I used the library at the USCGA, the more I became aware of the great deprivation that I had suffered in high school in Memphis, TN. And many people all over the South were still suffering.” he said. So he began to develop a real love for books and an appreciation for what books could do for the spirit. He began to go to the drug stores in New London, Connecticut, and buy paperback books. At first, he bought any book he could afford, like James Mischner’s “Hawaii’. He kept and treasured every book he purchased and slowly they began to stack up. Then, later as he traveled to foreign countries, he expanded his collection with foreign books. He joined book clubs, The Book of The Month Club, and later The Folio Society. He has visited and used many libraries all over the country, except the one in Memphis. One day, more than 40 years later, when he visited Memphis, TN, his nieces and nephews asked him if I had been to the Benjamin Hooks Public Library. He said no. In fact, he never really associated going to a public library in Memphis, TN, based on his childhood experiences. “The idea felt strange to me because I had never been inside the Memphis Public Library, I did not think I was welcome” Mr. Steverson stated. He took his wife and children and has accomplished a major milestone in his life 44 years later. He was finally able to step foot inside the public library in his hometown, and on top of it all, apply for library card. The lady was an older white lady from Connecticut, who was processing his application. The lady was surprised that a 60 year old man born and raised in town, had never had a library card there. “I explained to her that when I had lived in Memphis, Blacks were not allowed to use the public library, and I had left Memphis at age 17.” She was amazed and I was pleasantly taken aback that my minor children and I were getting library cards for the first time at the same time.” His whole family became a member as a symbol to his freedom to read books anywhere. “One day I looked around and I had so many books I did not know what to do with them” he said “nearly every room had wall to wall bookshelves filled with various books. Every room in his house had books in it, from the front door to the back door. Within 6 months of getting the library card, he moved to Hungary. “When the packers came to our home with boxes, we were surprised that the bulk of out possessions were books. We had over 400 boxes of books.” There were high school, college, and law school text books, along with novels and books of every description. They were the accumulation of over 45 years of collecting books. When he arrived to Hungary, his wife began to take him to visit the elementary and high schools she had attended. He found that every school was teaching English diligently to their students, and they discussed the idea of donating some of the books to her alma maters’ libraries. Then, one day he visited the County Library in Veszprem. (ekmk.hu) To his surprise there was an American Corner in the library. American Corners are a State Department supported program that provides, without American personnel, a public diplomacy outpost – library, discussion forum, program venue and Internet access – available for the use of the local population in a host country. The American Corner had two shelves of English language books and plenty of space. The American Corner was also near the local university. Mr. Steverson decided that this was the best place to donate his books because they would get the most exposure to English speaking and reading people. After showing the Director some samples of the types of books that he had, she was delighted to accept all the books he could donate. The donation was called the Steverson Book Collection and since the initial donation, the collection has expanded from one corner to three corners in Hungary, helping students and teachers, Hungarians, foreigners and ex-patriots to have access to a wide variety of books and knowledge. The seed planted in 1963 has come to grow, blossom and bear fruit. Mr. Steverson has fulfilled a lifelong dream of helping young and old alike to have access to books and learning. His dream carried him even further than he had ever dreamed, giving him the opportunity to help a whole nation have access to something that he did not as a child. acquainted with the vast collection of books in the generous donation from Judge London Steverson and his family. The Book Club will be run by booklovers, for booklovers. The members were be at the heart of the operation of the club. Benjamin Hooks Public Library, Memphis, TN. Benjamin L. Hooks for 15 years led the National Association for the Advancement of Colored People as it struggled to remain an effective champion of minorities in an era of rising political conservatism. President Richard M. Nixon appointed Mr. Hooks, a Nixon supporter, to the Federal Communications Commission in 1972.